This traditionally designed drink panakam/ panagam recipe has become confined only to be done during certain festivities like ramanavami and tamil new year.But its not a simple drink to keep away from!its a superb kind of refreshing cooler to be had althrough these summer months.I simply adore the simplicity of this recipe but it is an ignored drink and nowadays it has been replaced by other unhealthy drinks.People are still after aerated drinks even after understanding that it never quenches your thirst with disastrous unhealthy benefits.Always love the taste of jaggery for its rounded earthiness more than sugar.I thoroughly enjoy each and every sip!it gives total coolness to our body and gut.Sometimes even pepper powder is also added for extra punch and some where I saw that they add even edible camphor.But personally I don’t like adding edible camphor to it!but altogether its a perfect summer drink.If you serve it to someone who are not introduced to this drink will feel this drink more treasurable than anything.You can make this drink in advance and keep it in fridge for two days also!it becomes even more flavourful the next day. 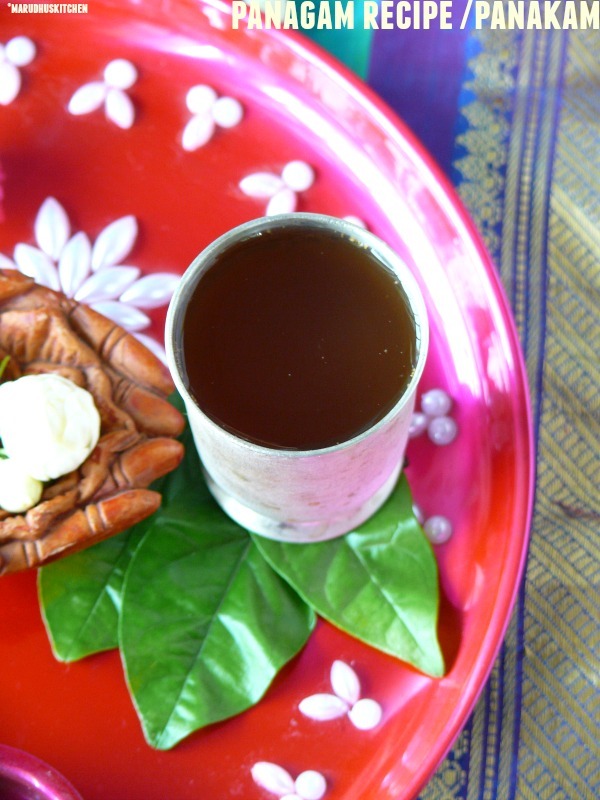 1.Take a bowl with two cups of water put jaggery into it and leave it for sometime till it dissolves. 3.Take the filtered jaggery and add sukku powder,lemon juice and cardamom powder mix well. 4.Add icecubes and serve or chill in fridge and serve. 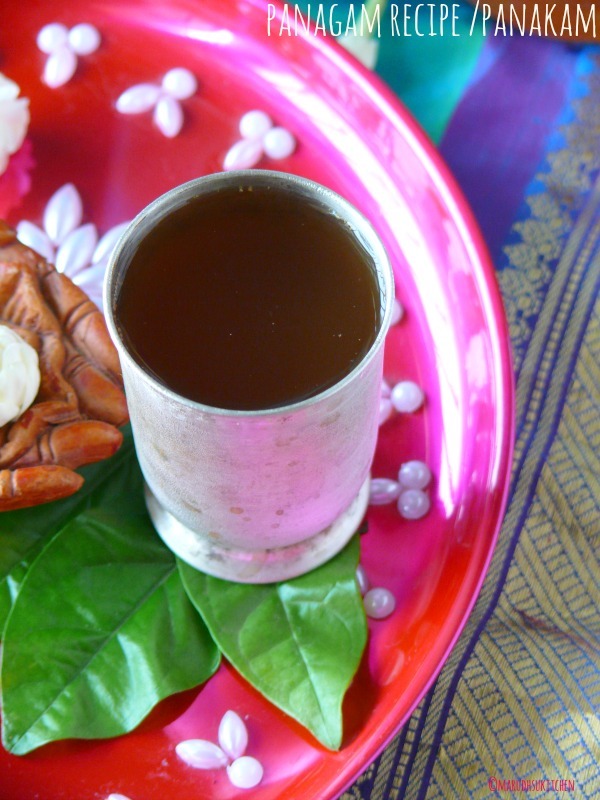 Take a bowl with two cups of water put jaggery into it and leave it for sometime till it dissolves. Take the filtered jaggery and add sukku powder,lemon juice and cardamom powder mix well. Add icecubes and serve or chill in fridge and serve. Sometimes edible camphor too is added which is so refreshing. It will taste best when chilled. All the measurements can be adjusted according to your taste. Love panakam a lot. I too have the recipe in my drafts. We too prepare it the same way at our home. A very healthy and refreshing drink! !